Over the course of Craig Schindler’s 50-year career as an artist his work has grown and adapted with him. From capturing the political and cultural revolutions of the 1960s as a young man with his political cartoons to photographing his father’s final fight with cancer, Schindler has created a powerful and expansive oeuvre covering some of the most impactful decades of American history. 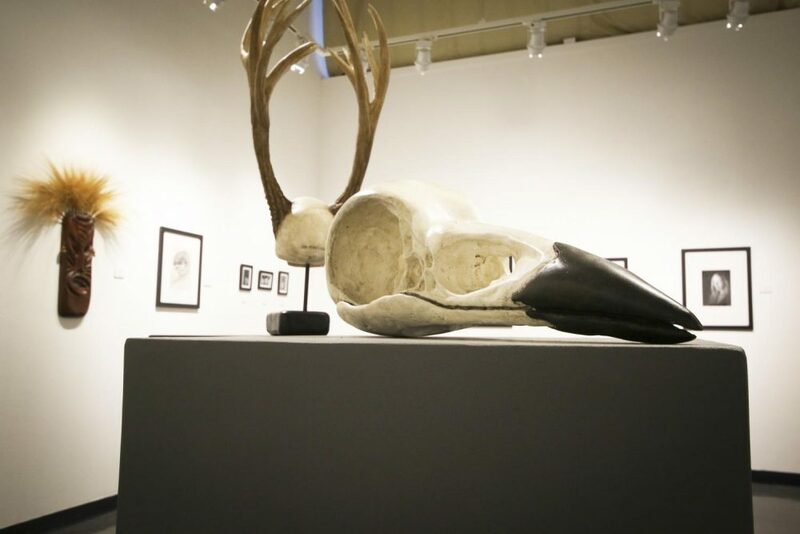 And now a collection of his most recent work is on display at American River College’s Kaneko Gallery, a familiar setting because Schindler has spent the last 12 years as an instructor of art here on campus. 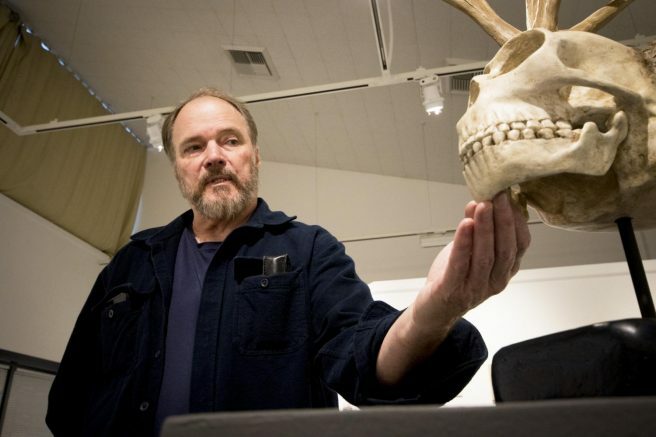 Schindler has taught several different art classes at American River College during his tenure, with courses ranging from drawing and painting all the way to digital photography and ceramics. But Schindler is now preparing to leave his long-time professorship to pursue a career selling his own art. Although he is unsure when he will retire, Schindler says he knows that his days at ARC are nearly at an end. 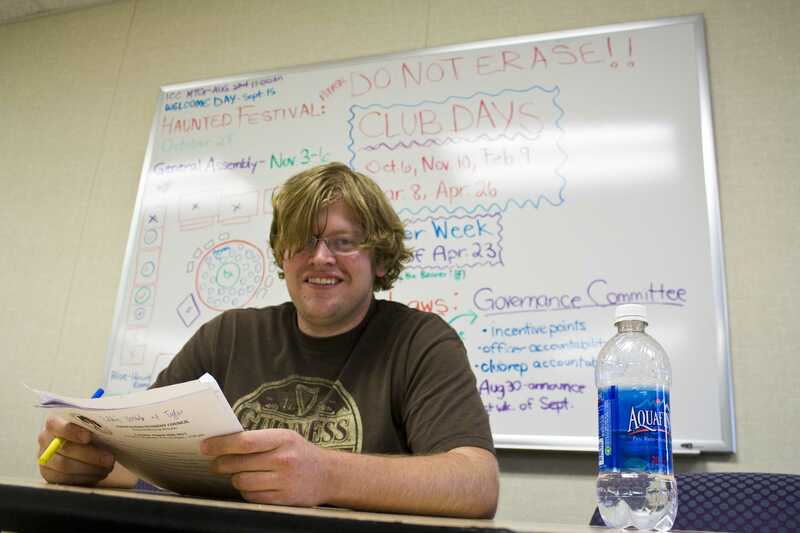 The end of his time at ARC reminds Schindler of the end of his own stint in college. But Schindler was able to turn his artistic skill set into a job working for the grocery store Bel-Air’s advertising department. This eventually blossomed into a 20-year career, which only ended when Schindler decided to retire to go into teaching full-time in 2005. Schindler says he is looking to continue doing just as much work as he did when he was actually working. According to Schindler, the “turbulent” times we now live in have inspired him to go back into the kind of passionate art he was making as a young man in the middle of the Free Love movement of the late 1960s in San Francisco. And as Schindler’s last show at the Kaneko draws near its end, the artist knows that even with the uncertainness of the future, he will find a way to keep making the art he has made for the last 50 years. 2 Comments on "Professor holds final show before retirement at ARC"
The blurb about the writer Jimenez needs to be corrected: “has spent three semesters” (not semester). I appreciate you pointing that out to me. I went ahead and fixed it. Thank you Miss Lou.